When you apply for a job overseas, clearing the interview and getting the job is not enough. You need to obtain your visa as well as passport to migrate to that country. If you want to save your time and efforts in getting your visa or passport, then come directly to us for the best services. At Global Placement & Career Guidance Center Nashik, we are engaged in rendering reliable visa & passport consultancy to the clients across Nashik (Maharashtra, India). 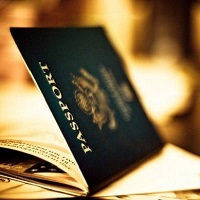 We assist the clients in the intricate documentation procedure and with the help of our associations, help them in obtaining their passport or visa conveniently.